A Covington woman is suing a local shopping center, alleging lack of handicap accessibility to and within the property. Yadi Mark, who uses a wheelchair. filed a lawsuit Nov. 12 in U.S. District Court Eastern District of Louisiana against N&S Investment Company and Petite Esplande Covington. 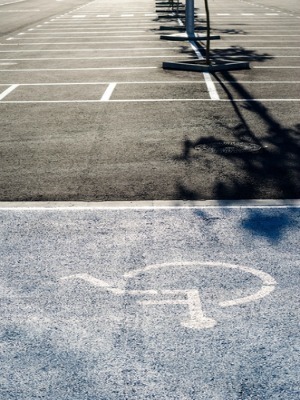 According to the complaint, the accessible-designated parking signage at the shopping center is faded and unreadable, there is no accessible route between buildings and some curb cuts are excessively steep, among other violations of the Americans with Disabilities Act. Mark asks the court to declare the property in violation of the ADA, to order the defendants to alter the property to bring it up to compliance, and award court costs and attorney fees. She is represented by attorneys Andrew D. Bizer, Garret S. DeReus and Amanda K. Klevorn of The Bizer Law Firm of New Orleans. U.S. District Court Eastern District of Louisiana case number 2:15-cv-05862-MLCF-JCW.